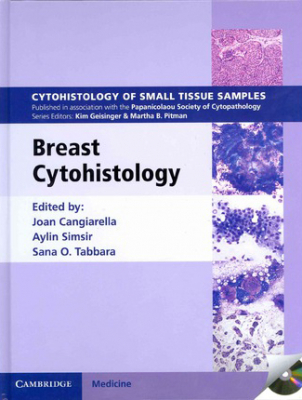 Breast Cytohistology - ubiq bookshop: the best place to buy books! Each volume in this richly illustrated series, published in association with the Papanicolaou Society of Cytopathology, provides an organ-based approach to the cytological and histological diagnosis of small tissue samples. Benign, pre-malignant and malignant entities are presented in a well-organized and standardized format, with high-resolution colour photomicrographs, tables, and lists of key specific morphologic criteria. Example vignettes allow the reader to assimilate the diagnostic principles in a case-based format. This volume provides comprehensive coverage of both surgical pathology and cytopathology of breast lesions. With a focus on malignant tumours, the full spectrum of inflammatory disorders, benign lesions, and hyperplasias are also covered in detail. Advantages and disadvantages of aspiration and core biopsy are discussed, as well as ancillary testing such as hormonal and molecular markers. With over 200 printed photomicrographs and a CD-ROM offering all images in a downloadable format, this is an important resource for all anatomic pathologists. Featured in the November 2013 Mostly Medical Newsletter Etc To receive this newsletter regularly please email us with your name and contact details.